SPECIAL LIVE OUT LOUD TOUR PRE-SALE FOR MONTREAL SHOW TOMORROW AT 10 AM! 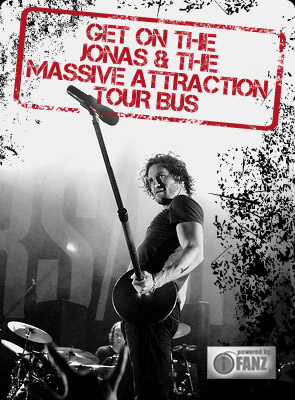 Jonas & The Massive Attraction will kick off their LIVE OUT LOUD TOUR 2013 with a special performance for their Quebec fans on Saturday, April 27, 2013 at 8:00 Pm at L’Astral in Montreal, before the band heads off to Europe for a month long tour. Tickets for the general public go on sale Thursday, March 7, 2013 at 10:00 Am at the regular price.